We’ve been seeing all sorts of reports regarding the current government shutdown and its repercussions on the operation of our beloved national parks. Our friends over at Glacier Guides and Montana Raft posted a great update on the current situation on the west side of the park, and spurred us to consider that folks are probably interested in what is going on in the St. Mary area, too. We really should have thought to throw the bikes in the back of the truck. This gate is typically shut between October and New Years Eve, depending on the weather conditions. It was open a very long time this year! 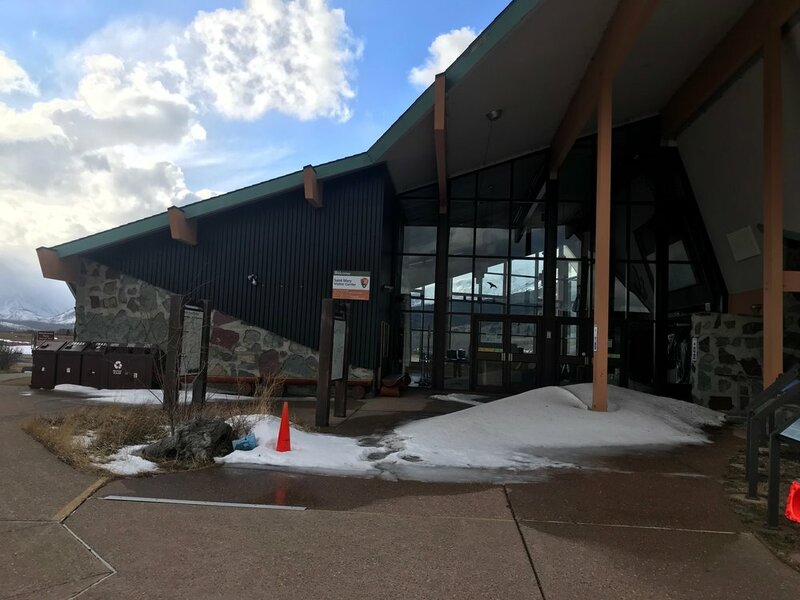 Claire and I actually had a meeting planned with some of our pals in St. Mary at the Heart of Glacier Campground, so we figured we’d take a few minutes afterwards to check on the conditions at the visitor’s center and the St. Mary Campground. The campground was….wow, really nice! It is a rare thing indeed to walk through the St. Mary Valley on a windless, 41 degree day in January and we took full advantage of the quiet, still morning. The first loop of the campground was open and plowed, the others were gated as per custom. Looks about the same as usual other than a distinct lack of snow. Seeing as the campground looked nicely cared for, we cruised back through the visitor’s center prepared to empty the trash or do whatever else needed to be done. It was quite satisfying to see that our efforts would not be needed as the St. Mary entrance complex was just as tidy and empty and lonesome as it generally tends to be this time of year. The only small items amiss were a small wooden stool blown into the center of the parking lot and a flagpole rope flapping loose. A wayward wooden stepstool was blown into the parking lot, but there were no obvious trash issues otherwise. 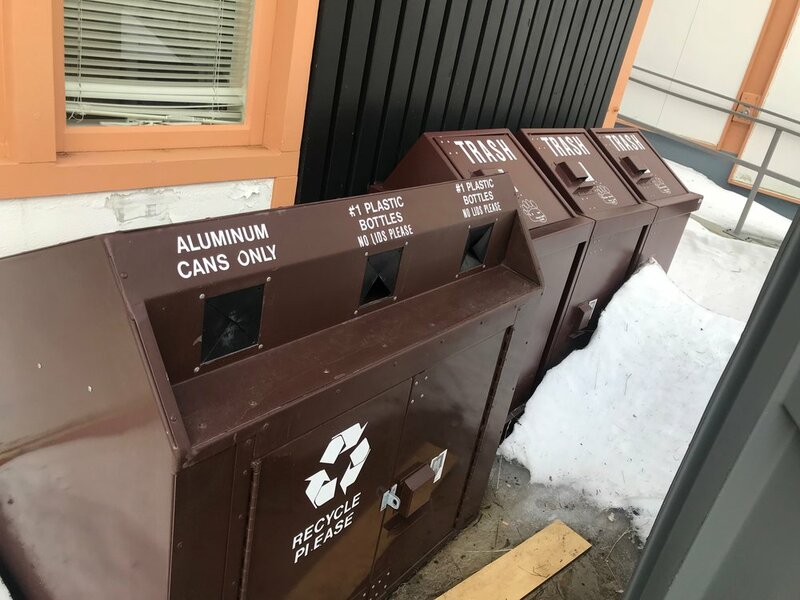 The trash and recycling were all nearly empty, so we left them as they were. There is usually a pretty substantial drift back here, but this mild winter so far has other patterns in mind. Still a heck of a view through the mostly empty St. Mary Visitor Center. 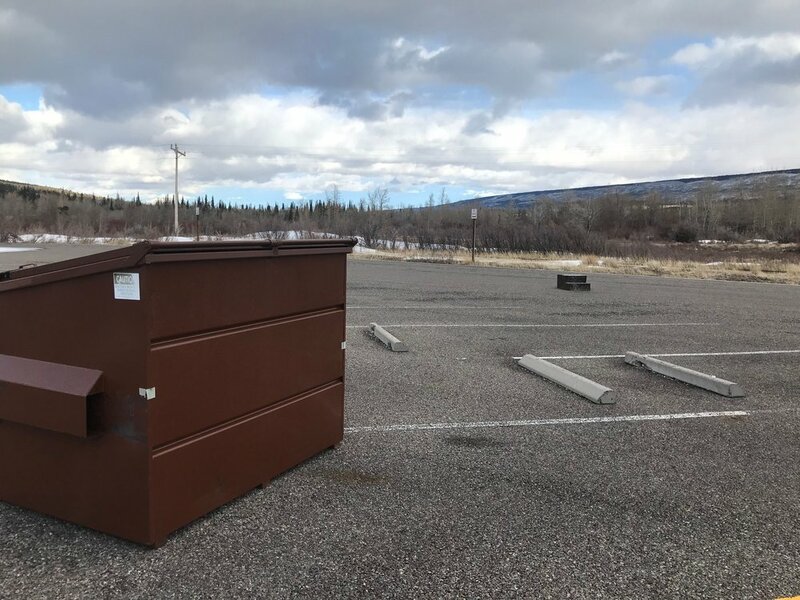 So it would appear that the few visitors we have received on the windy side of the park in the last month have been very conscientious in disposing of their refuse and/or the staff stationed in St. Mary has continued their work despite the guarantee of a paycheck. We are grateful that St. Mary isn’t suffering from the overcrowding and rule-breaking evident in other parts of the country, and hope that the dedicated park staff are back to regular paid employment soon.